900X spotify premium family fresh tested !!! Today, the Cobra Team have updated the Cobra ODE firmware to version 1.5 with the following changes below. COBRA ODE Browser to allow game selection from the XMB without the need for a homebrew application to be running. We have much exciting news for you today with the release of the COBRA ODE v1.5 firmware! Now with the v1.5 fw, you can create a manager.iso with custom sector triggers for games. This will allow developers to experiment with many new ways to provide COBRA ODE users with alternative methods to select games, such as a DVD video menu or our own COBRA ODE Browser. The well known developer Habib who created the Habib CFW, today he has modified the source code to support more CFW's. Today, Megago releases another console ID for jailbroken PS3 consoles. Today Megago release a console id for banned PS3 consoles. 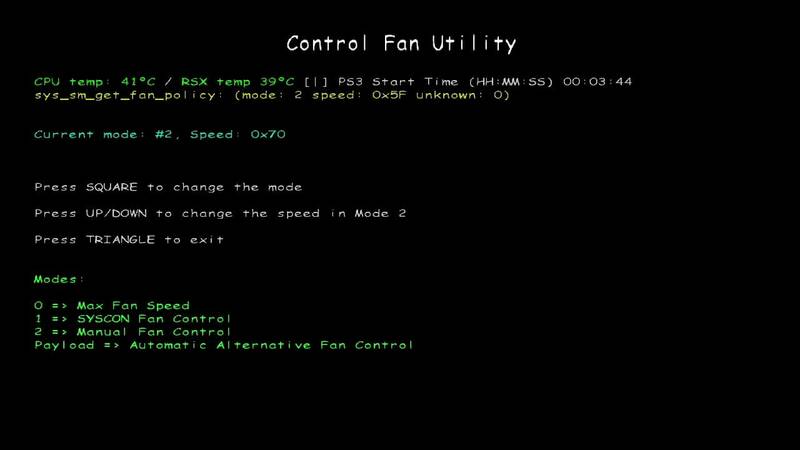 This weekend developer Alexander has updated his Control Fan homebrew app to support the latest CFW 4.50. 0 > Maximum fan speed. 1 > SYSCON Fan control. 2 > Manual Control fan speed. Payload > Control Fans Alternative to the Official Sony. - SQUARE to change modes. 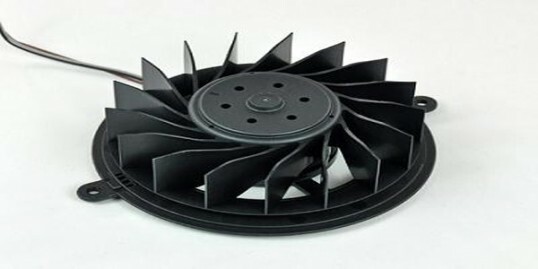 - Arrow UP/DOWN to Increase/Decrease the speed of the fan in Mode 2. - TRIANGLE to return to the XMB. - START to store the speed in Mode 2. Tested with CFW 4.50 FERROX 1.0 on a CECH-2004A. Sorry for the late reporting, today developer deank updates multiMAN and Showtime. PS3 Cobra-USB Now Open Source! This weekend, the commercial dongle creator Cobra-USB has finally released its source code after STLcardsWS sent a request and now they have fulfilled his request. A few days ago, STLcardsWS sent us a request, asking if we could release the source code of the Cobra USB dongle. Today, we are fulfilling this request with a release of the full source code. We are releasing the entire source code under the GPL license. You will find an overview.txt file which explains the content of each directory, and a readme.txt file in the cobralib subdirectory which explains its API and how to use it. The source code is massive, and represents countless hours of work, containing 33,346 lines of C code, 5,981 lines of C++ code, 2,728 lines of assembly code and 35,530 lines in header files. We are sure that you can make good use of it, in part or in whole, within the community.